What is a Stockman Knife? It seems incredulous to think that the knife, which is considered no more than a weapon today, was the first tool ever to be made by man. Made of stone, the first knives were used for a variety of purposes, from hunting for food to starting a fire. That’s how the knife became such an important weapon to mankind. During the early years, knives were mostly used by the country folks, for cutting and hunting purposes. A knife was also a cool fashion statement, besides being a survival tool. Some cool knives can be seen in old Westerns (Last of the Mohicans, Open Range, Outlaw Josey Wales), and if it makes you wonder about the knife’s usefulness in the present day, remember that the knife is still the most versatile survival tool that you can include in your bug out bag. A knife is just a simple piece of sharp steel but it can help you with so many tasks. Fixed knives are larger, and better suited for heavy-duty work, while folding knives are preferred because of their portability. 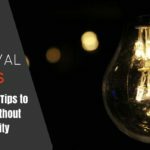 When including a knife in a survival kit or bug out bag, the size and the weight of the tool must be considered. A knife that is small and light may be easy to pack in, but it may not be capable of much. On the other hand, a larger knife is capable of every imaginable task, but they are heavier and take up space. Therefore, your purpose should the primary deciding factor. The quality of the knife is another factor. Unbranded knives are definitely cheaper, but there is no guarantee of quality. Branded knives are an investment. They can also be customized to your liking, with the type of materials you prefer. A $3,000 custom knife can also be passed down from one generation another, as an heirloom. The Stockman is the iconic three-bladed knife. Until ten years ago, the Stockman was the epitome of a pocket knife. One of the earliest types of pattern knives, the Stockman was aptly named so because it was mostly used by ranchers and cowboys who dealt with livestock. Although there is no definite time of the Stockman’s rise to fame, it was probably in the 1700s that the knife began to be widely used by stockmen. In the beginning, the stockman knife featured a clip joint, a sheepsfoot, and a spey, and was mainly used for spaying or neutering livestock. By the 1880s, the stockman started to have a uniform width, round ends and had a slim spear master blade. By the 1900 the clip master blade had started to be used. The Stockman knife not only looks a little different from other pocket knives but is also one of the most versatile knives ever made. It has three blades in one, so you don’t have to carry three separate knives. The clip point is for cutting, the spey for sweeping strokes, and the sheepsfoot for clean cuts. 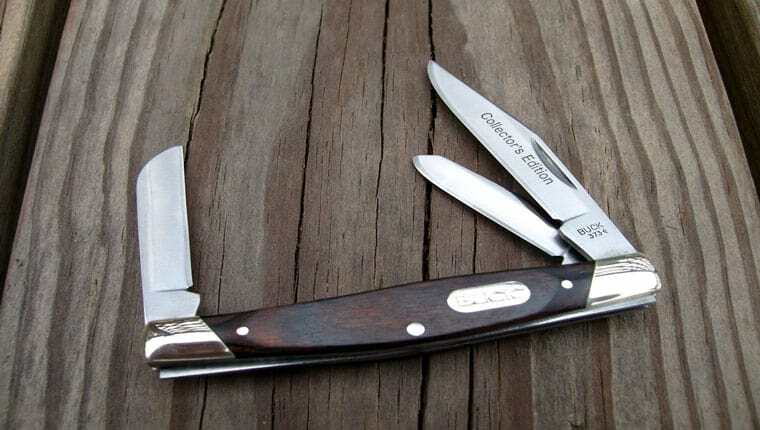 The stockman used to be a popular pocket knife in your grandfather’s age, when almost every man found it a symbol of cool and class to have a stockman. Although not as widely used anymore, stockman knives are still used by many, particularly those who love a versatile multi-tool. Picking a stockman knife is the same as picking any pocket knife. You have to consider the blade, the handle, the sharpness, and the materials. Stockman knives are made by various companies, one of the most famous among them being Buck Knives. The stockman by Buck Knives has been popular down the years and still sells in large numbers. The reason is simple: stockman knives are versatile because they include three different blades. Today’s stockman knives are made keeping with the modern needs of man. The blades are made of tough metal, usually stainless steel, while the handle is of usually made of wood or a composite material. Carrying a stockman knife not only gives a boost to your style quotient but also comes in handy for various everyday and survival purposes. You can also take a stockman knife to camping or backpacking, and find it useful in setting up a tent or preparing food. 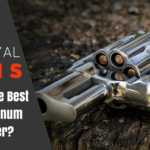 With that said, let’s discuss the five best stockman knives that you can buy today. If you’re one of those people for whom a pocket knife is as indispensable as a set of keys or a wallet, then the best you can get is the Case SS Stockman Pocket Knife. Widely regarded as the manufacturer of some of the highest quality stockman knives ever, Case offers their impeccable workmanship and quality at affordable prices. The SS Stockman comes for a mere $40, which is cheaper than most high-end pocket knives. Case has been around for some 130 years, proving their excellence in crafting extraordinary pocket knives. Whether you need a stockman for everyday use or want to add it to your knife collection, the Case SS Stockman will never disappoint. The handle of the Case stockman knife is made of bone. Not wood, not plastic, but solid, unbreakable bone. Not only does this allow for beautiful carvings on the handle, but also delivers long-lasting performance. It isn’t uncommon for an old man to pass his Case knife to his grandchildren. The blades are made of Tru-Sharp survival steel, which will never stain, rust, or become blunt. It’s easy to sharpen and provides a lifetime of service. The closed length of the knife is only 3.13 inches and weighs only 2 ounces. Conclusion on the Case SS Stockman Pocket Knife: Whatever your reason for buying a stockman knife, you will never go wrong with the Case stockman knife. It’s durable, lightweight, and affordable, besides looking stylish and offering unbeatable service. The guys in Duel Survivor would take this knife and even Jack Bauer. From gutting a fish or eliminating a terrorist threat, this knife can be very useful. Another iconic company that makes stockman knives is Buck Knives. The first buck knife ever made was in 1902, by Buck Knives founder Hoyt Buck, who was a blacksmith in Kansas. Buck Knives was founded in San Diego and is where the company is still headquartered. Buck Knives makes handcrafted premium quality folding knives, known for their exceptional quality and lifetime guarantee. The three-bladed Stockman is the largest knife made by the company. They stick to a traditional design that is convenient and good looking, comes under $40. The classic stockman knife by Buck Knives has never gone out of fashion. Buck Stockman knives have been available for more than 100 years and still sell in large numbers. They are perfect for all purposes – from hiking to camping to preparing a survival kit. The three different blades in one knife ensure that you don’t have to carry separate knives. The stockman knife by Buck Knives features a 2-3/4 inch clip point blade, a 2-inch spey, and a 2-inch sheepsfoot blade. The clip point blade is used for detail work and cutting in tight places. The spey blade is perfect for skinning or sweeping knife strokes, and the sheepsfoot blade is suitable for making clean cuts, especially on a flat surface. The blades are made of 420HC steel that offers excellent strength, edge retention, and corrosion resistance. The closed length of the knife is a little above three inches (this may not be big enough to take on Thanos or Megatron but it can come through for you in many other ways), and weighs only 2.9 ounces. The handle is injection molded black valox with nickel silver bolsters. All Buck knives are proudly made in the US, and come with a lifetime guarantee (that pumpkin pie certainly does not!). All repairs are done free of charge by the company. Conclusion on the Buck Knives 301 Stockman Folding Knife: The 301 stockman is an iconic knife from Buck Knives. For under $40 it offers the best value and quality. For those who prefer a medium sized stockman knife, not too big and not too small either, the Boker Ts Medium Stockman Pocket Knife is ideal. The Boker Knife Manufactory is a leading supplier of sporting knives, tactical knives, and collector’s knives in Europe and around the world. Even though Boker isn’t as widely known as Buck Knives or Case, it is popular among those who have always sworn by European Boker pocket knives. The Stockman knife is manufactured in Germany and the blades are made of Chinese steel. The blades are solid and sharp and have excellent edge retention. If you don’t like to sharpen your knife frequently, this one is a prudent choice. The knife has a jigged brown bone handle, nickel silver bolsters, and brass linings. The closed length of the knife is 3 1/2 inches, and it weighs less than two ounces. It’s lighter than most other knives in the same category, but also very easy to use and carry. Besides, it looks stylish enough for flaunting to your friends. Conclusion on the Boker Ts Med Stockman Pocket Knife: Most Stockman knives are either too big or too small. This is a perfect medium sized pocket knife that is affordable and also provides a lot of utility. Unlike buying a 6 pack of soda which is terrible for you, this knife is worth buying. The Bear & Son 218R Rosewood Three-Blade Midsize Stockman Knife comes with a smooth and comfortable Rosewood handle and a carbon stainless steel clip point blade that is durable and rust resistant. The contoured handle is light enough for ease of use and provides a secure grip. The knife also has a ground blade with nickel silver bolsters. The open length of the knife is 5 and a half inches, and a closed length of 3 and a half inches, with a blade length of 2 and a half inches. The knife is extremely lightweight at only 1.5 ounces. All Bear & Son knives are made in the USA and provided with a hand finish. Each knife also comes with a collectors stamp with a dated dotted system. If you’re looking for an American made stockman knife, you will not be disappointed in this one. Conclusion on the Bear & Son 218R Midsize Stockman Knife: If you’re one of those people who love to use things made in the US, this stockman knife from Bear & Son is the ideal pick. It may be small and light, but it looks beautiful and delivers an unbeatable performance no matter how rough you use it. What more can you ask for under $30? This is not something you want to buy your wife for her birthday or perhaps anyday but it would be very useful for you or you one of your children. Not for cutting the turkey on Thanksgiving though! Most expensive of all the knives reviewed here is the Utica Cutlery Stockman Knife. Another American made product, this knife is absolute quality. The moment you use it, you’re sure to fall in love with it, even if you’ve never owned a pocket knife before. The size is also perfect – it’s small enough to carry for everyday use, but not too small or insubstantial. The closed length of the knife is only a little more than three inches, while the item weighs only seven ounces. The polished hardwood handles have solid nickel silver bolsters, and are matched with 1095 high carbon steel blades. 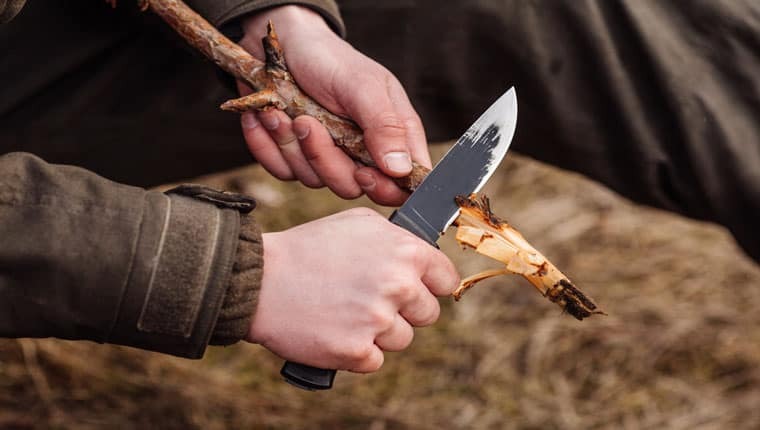 Whether you use the knife for everyday purposes or take it hiking or camping, you will not be disappointed with the performance (well unless you are trying to open a can of beans with it – you need a can opener for that! ; though this knife can be used for that too if that is the only tool you have around). Conclusion on the Utica Cutlery Premium Stockman Knife: If your choice is an American made knife that delivers a promising performance, this stockman knife from Utica is a good choice. At $50, this is a beautiful knife made of hardwood and steel, with good edge retention and durability. Don’t get this for your dog though, they just want a treat and/or their belly rubbed! The Stockman knife is a classic that never goes out of style. Whether you need a pocket knife for everyday use or love to collect knives, a stockman knife must find a place in your life. It’s a decision you will not regret.